Fairport Convention was a British folk-rock group whose best work was cut between 1968 and 1969, with singer Sandy Denny and guitarist and singer Richard Thompson. Their albums, Fairport Convention (What We Did on Our Holidays), Unhalfbricking, and Liege & Lief, are closer in spirit to the Band’s first two albums, recorded about the same time, than to any other contemporary music. There are formal similarities—Fairport, like the Band in those days, had three or four writers, traded vocals effortlessly, and sought the sound of a true group rather than the showcasing of virtuoso instrumentalists. But what the two groups most had in common was their almost magical ability (it feels like magic) to bring the past to life in the present. The difference between the Band and Fairport was a matter of place. The British Isles, no matter how much they contributed to the music of the United States (or, given Fairport’s pre-Denny convention­al imitation-Byrds folk-rock beginnings, took from it), are not America, and Fairport never sounded anything but British, even when they sang in French. But the decisive difference is one of time. The Band, after all, had only a few hundred years to work from; their evocations of the past rested on concrete items of cultural memory. The frontier, even in 1969, was hardly spectral. Fairport, though, had thousands of years to draw on—it makes sense that the cover of Fairport Chronicles, a superb, recently-released two-record collection of some of the group’s finest songs, is a picture of Stonehenge, built by pre-Celtic peoples more than 35 centuries ago—and that meant that when Fairport summoned up the past they were, more often than not, dealing less with history than with mystery. Fairport did not play madrigals, perform pre-Christian chants, or imitate Elizabethan ballads; there is a good deal of their sound in Rod Stewart, and their music has more in common with “Maggie May” (or the hard-rock fiddle in “Cut Across Shorty”—an Eddie Cochran tune that, by its last bars has turned into pure English folk music! ) 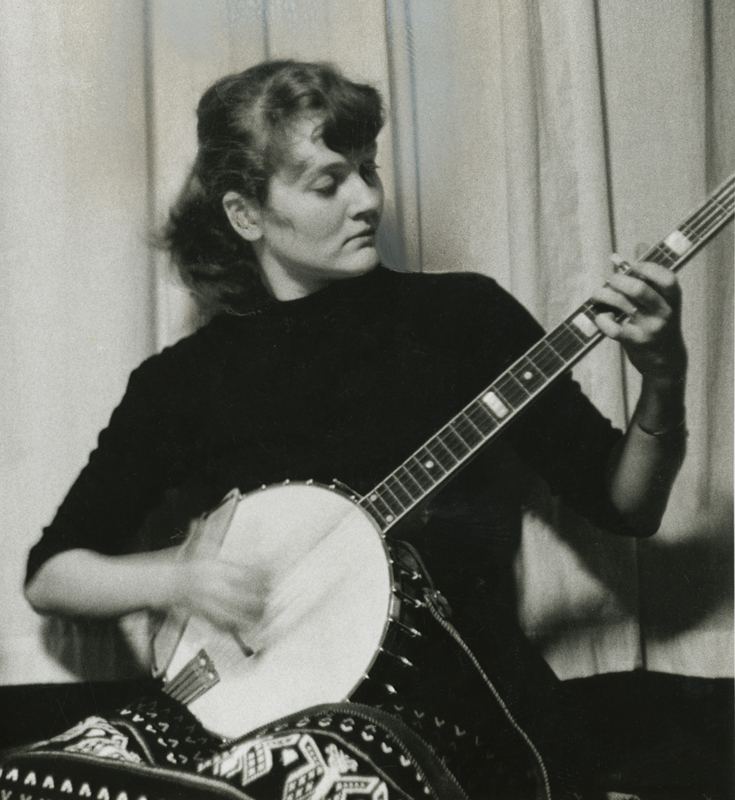 than with Peggy Seeger. 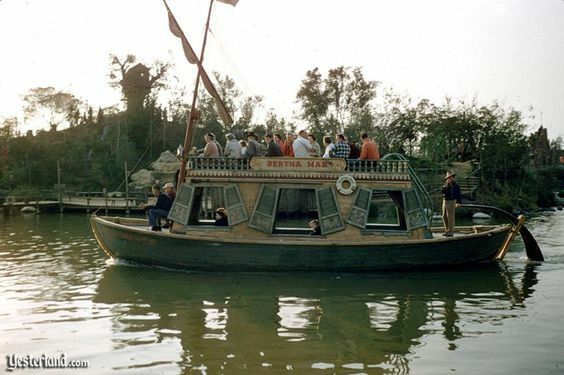 Like the Band, who so often sounded as if they had set up on the roof of Mike Fink’s Keel Boat, Fairport only seemed to be what they evoked. Though album by album they used more and more traditional material (and original songs in traditional modes—most folk-rock groups go in the opposite direction), their references to earlier times were rarely specific, and when they were, it wasn’t the specific reference that made the past real, nor was it any specific era—200, 500, 1500 years ago—that became real. Denny—who usually sounded like Maid Marian (as played by Audrey Hepburn) singing from the forest, Thompson, Ian Matthews, Simon Nicol, Martin Lamble, and Ashely Hutchings weren’t exactly traditionalists, and they certainly weren’t purists. Their versions of obscure Dylan songs—a take of “Million Dollar Bash” that perfectly captured the just-got-up-gimme-a-drink feel of the tune, a performance of “I’ll Keep It with Mine” by Denny that may well have spoken for a deeper loneliness than even Dylan’s recording of the number—were unsurpassed, and Denny, whose voice so often seemed not quite of this world in its clarity and ethereality, could handle a Cajun stomp or a double-entendre blues with more authenticity, and more crudity, than Bonnie Raitt. Fairport could rock; they had a sense of humor. Still, it was the way they could take a listener out of time that made them extraordinary. In a song such as “Fotheringay” (by Denny) they didn’t so much draw on their roots as become their roots. I have gone back to this tune again and again over the years, obsessed by it, transported by it, though never sure just where. The title was no clue to me—its meaning eluded me, detritus of an old history course, or a novel, or a play—and in the 100 times or so I played the song, I never listened to the words, never followed the story. What I heard was a simple, elegant guitar part, the sort of eternal melody that is at the heart of so much British and Scottish—and Appalachian—folk music, the high, shivery background singing of the band, and Denny’s vocal, which, in its sound, told the story. The story had no real contours—there was loss, beauty, transcendence in it—save that it sounded like a story that had always been there, hovering over the daily affairs of various centuries, waiting for someone to pull it out of the air: a kind of permanent knowledge in sound, an aural version of “This too shall pass away.” Very mystical. To write about the song, though, I felt I had to track the title down, so I looked it up in the dictionary. Fotheringay, as I had half-known, was the prison in which Elizabeth executed Mary, Queen of Scots, in 1587; the lyrics to the tune, which I broke down and listened to, were indeed about that very thing, though Mary’s name is never mentioned (not that British listeners would need it). Now, of course, I am afraid I have ruined the song for myself—demystified its music, shrunk its boundaries. I liked the feeling of something—the essence of the song, the quality of Denny’s voice—slowly taking shape uncertain centuries ago, beginning in the form of a long-forgotten custom, or a bridal suicide, gathering force over the years, and finally, in the present, coming out of hiding, as something anyone could recognize, respond to, but that no one could pin down, let alone trace all the way back. That feeling, I think, is what Fairport’s music is about: music that is of a piece with, and grows naturally from, the deeper yearnings of a people whose culture is based in the legend of a sword that cannot be drawn out of a rock and a cup that no one can find, and whose most glorious hero may have never existed at all. “Fotheringay,” despite its particular subject, is simply a meditation on the English past—or a meditation on the possibility of meditating on the English past. A song like “Who Knows Where the Time Goes,” which Denny also wrote, is even less specific than “Fotheringay,” but the feeling it conveys is almost the same, perhaps because here the subject is time itself. In the context of Fairport, time always implies a reaching back. (When Denny first recorded the tune, before she learned how to sing, with the Strawbs in 1967, “Who Knows Where the Time Goes” was merely a shrill, commonplace contemporary love song.) Traditional tunes, like the overwhelming “A Sailor’s Life” (with Fairport, a sense of the past never meant a loss of musical force or emotional intensity), Denny’s terrifying “Matty Groves” (in which she manages to deliver equal sympathy to Matty, the serf, and to Lord Donald, who kills him), or others less striking, are in terms of spirit no “older” than any of Richard Thompson’s compositions for Fairport, which rarely contain an image that would be out of place in present-day London. Though I didn’t hear it until I had spent time with the five solo albums Thompson has released since leaving Fairport in 1971 (Denny left a year earlier), Thompson seems to have been the anchor of the group. As a guitarist, he can really be compared only to Robbie Robertson, though he lacks Robertson’s fierceness, and has no real flair for flat-out rock. Thompson is more subtle; his style emerges slowly. He plays in pieces, a lick here, a framing melody there, almost always lining out a very measured, deter­mined sort of tempo. Only occasionally, as on his furious “Sloth” (from Fairport’s Full House, included on Chron­icles), did Thompson in his Fairport days break loose and take over a song, raging, damning. I sometimes hear “our” for “your”; though that isn’t what Thompson wrote, I think it is closer to what he meant. Listening to such songs mingle with Dylan, and with Denny’s tunes—and her singing is not only full of the past, it is almost painfully sexual, as if she were Garbo in a nunnery—I find a good deal more than I have found in Dylan’s music of the last 10 years, more than in the Band’s since their first albums, perhaps about as much as I have found in Van Morrison’s. It isn’t easy to pin down, and perhaps if you’re not drawn to the past, you won’t be drawn into Fairport Convention’s music. If you are, you’ll find little so rich. I’ve written about only three albums, but there is more, though not much. Fotheringay, the record Denny made with her group of the same name after leaving Fairport in 1970, does not have the impact or the depth of her best Fairport work, but it retains the sound, the style, and the charm. (Denny later made three faint solo albums, and then rejoined an in-name-only Fairport for two desultory reunion LPs. Her best work after Fotheringay came on Led Zeppelin’s Zo-So, with a towering duet with Robert Plant on Jimmy Page’s Druidic “The Battle of Evermore.”) After Full House, Fairport, lacking most of its original members, turned into a pallid, unstable unit peddling tame traditional material to a small, presumably stable audience; there is little on their many post-Denny and Thompson albums of any interest at all. Thompson’s solo work—Henry the Human Fly and four albums with his wife Linda, including the just-released, two-record compilation, Richard Thompson Live (More or Less)—is worth a piece in itself; Pour Down Like Silver, released last year and already deleted by Island, Thompson’s unbalanced record company, is as good an album of folk-rock as has appeared anywhere since Unhalfbricking. Going back to “Fotheringay,” as I find myself unable to keep from doing, none of this seems to matter all that much—what came after, how this little pop story ended, or wrapped itself up. The song does not wear out, and not even in the way that Elvis’s “Milk Cow Blues Boogie” or Van Morrison’s “Sweet Thing” do not wear out. There is more time carrying it forward, more time behind it. It seems the same with most of the music Fairport made with Denny and Thompson—perhaps particularly with “Meet on the Ledge,” which I hear these days as a song of these times, as a song that stands up to them. But that is because it speaks for uprooted English peasants dispossessed by the Enclosure Acts of the eighteenth century, or for a band of Dickensian kids on the verge of being scattered into different orphanages, as easily as it speaks for the men and women portrayed in Alain Tanner’s Jonah Who Will be 25 in the Year 2000 (French and Swiss in their thirties, formed by the events of Paris in May, 1968, and now stranded—dispossessed—in the present, working toward an uncer­tain fraternity that lies somewhere between friendship and comradeship). It speaks for anyone who feels out of place in the time he is stuck with, but still finds the strength to conclude that when the very possibility of meeting those with whom one shares essential things is in doubt, the ledge is the only place that could sanctify the meeting. Given all that—the weight of the past one can sense in “Meet on the Ledge,” and the manner in which the song captures the way some understand the present—it seems pointless to decide if it would be more satisfying had Thompson found his image, that image of the meeting on the ledge, in a hook of old English folk songs, or, with no thought of the past whatsoever, simply made it up. This entry was posted in Various and tagged Fairport Convention, Greil Marcus, Richard Thompson, Sandy Denny, Village Voice. Bookmark the permalink. Thank you for this. You’ve posted most of the pieces I remember from back in the day, and this was on of the last two I was hoping for. (And it was as great as I remembered.) Now if you could post the piece Greil wrote on Hannah Arendt (a review, I think, of her Life of the Mind, published in the Voice around 77 or 78) I would be a happy man. A friend who was getting into Fairport Convention said of Sandy Denny: “she is so brave.” His remark stuck with me. Eternal credit to Greil Marcus for being the only major rock critic to champion Fairport Convention at the time. Giving Sandy Denny one of the rare “10” ratings in his ‘edgy’ piece rating rock deaths of the 70s, ranking her stature with Hendrix and Elvis and few others, certainly got my attention when I read it in the middle 90s. There is more to FC than Sandy Denny — “Doctor of Physick” is incredible – but seriously, she’s one of the greatest singers of the 20th century. I missed them altogether in my formative years. I figured there was always time later if I wanted to know more about The First English Folk Rock Group. Christgau, who gave them some attention, praises them dismissively, claiming all the Dylan covers on Unhalfbricking were all better Than “A Sailor’s Life.” Which, come on. “Percy’s Song,” sure – that’s maybe the greatest Dylan cover after Hendrix’s “All Along The Watchtower.” The other two covers? That’s Dylan cult talk. Christgau’s B- review of Liege and Lief is as full of clues to his tepid ideology as his early Funkadelic reviews. His claim that “the music, inevitably, reflects fatalism” says a lot more about him than Fairport Convention. Cunningly, Christgau avoids “Tam Lin,” a standout track. That song has a happy ending. Greil Marcus, meanwhile, insists overmuch in this article that Fairport Convention Is About The Past. How these critics could live with the Vietnam War and miss the contemporary parallel provided by “The Deserter” remains a mystery. And how many times did The Band as reference point need to be brought up in this article? I guess a lot, when writing for the Rolling Stone audience of 1977: You love The Band right? I’m well known as a critic who writes a lot about The Band. This band is like The Band. That’s a convincing point, David. Definitely in the service of a good cause! It’s too easy for me to project back current irritations. It was a better strategy for producing interest in 1977 than it would be now, when it isn’t even humans telling us what we would like, just what Scott likes to call “algorerhythms”. After getting to know a writer, I’m most driven to seek out unfamiliar work when the praise for it comes as a surprise to me. As I mentioned, GM’s ranking of Sandy Denny at the very top got my attention. Other times: his noting “Mind Paying Tricks On Me,” lots of choices in the Stranded end of the book list, his brilliant choice to list nothing but punk with the X-Ray Spex right at the top in one of those inevitable ‘greatest records’ lists he did in the 80s. One great thing about the “Ask Greil” column is that the surprises keep emerging, too. When Christgau likes an art rock or a classical record, it’s usually a really good record; it’s like he’s praising it under duress emerging from his usual aesthetic, so it sounds very exciting. Conversely, I’m downright suspicious if I get the sense that something is being praised mainly because it’s supposed to Speak To Our Cultural Moment. I’ve missed out on experiencing some major stuff at the time this way, but I’ve also avoided consuming a lot of perishable goods. This is funny, Vic. I just remembered how I first heard of Fairport: in 1979, the first version of the Rolling Stone Record Guide. Greil Marcus gave both ‘What We Did On Our Holiday’ and ‘Unhalfbricking’ 5 stars, and wrote ‘if The Band were British, this is what they might sound like.’ So I’m sensing a theme here! How did I miss those reviews?? The number of record-buying decisions I made as a result of that book….is….amazing. I used to stand in the local bookstore reading their last copy of the 79 red-cover Record Guide for as long as the surprisingly indulgent clerks would allow me to (I did have to leave at closing time). p.s. I just discovered that I mistakenly wrote “Mind Paying Tricks on Me”, which sounds like a dodgy internet scam one might best avoid clicking on. The Meters ‘Rejuvenation’, Tom Rush ‘The Circle Game’ and the jazz reviews by Bob Blumenthal opened up a new world for me. Memories. I bought the record Mott based on the 79 guide and I didn’t like it and I returned it for Don’t Crush That Dwarf which was definitely more like my thing. I have no idea if I would enjoy Mott if I heard it now. Nobody talks about them any more. I really wanted to buy the Velvet Underground records so I could finally hear the legends I had read so much about, but they were all out of print, and the old ones cost $17 (what would that be, $59 in today’s money?) Same thing with the Mothers of Invention, Captain Beefheart, Eno…..all the stuff that sounded like what I would like to find out about was, for awhile there, simply not findable, except as used, overpriced collectibles. Always check the roof of your car for precious, newly bought, rare old records before driving onto the highway. I say this for no particular reason that I wish to disclose. Btw, Mott holds up very well; TroutMask Replica took 25 years before it clicked for me. As Safe As Milk was much easier. David, this is a threshold moment. You seem like a good candidate to become the fifth or even fourth person ever to listen to the legendary two part Beefheart podcast. I emphasize two parts because the second part is best and there will be a test. I just listened to the first 20 minute chunk. Good stuff.